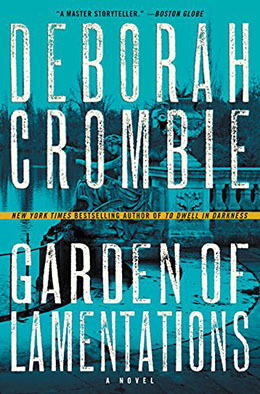 With Garden of Lamentations, Deborah Crombie has tended to her skills as a nuanced crime writer to cultivate her multiple plot-lines into what ultimately resembles a lush word bouquet. In Garden of Lamentations, help from Gemma James is solicited in the case of a nanny who was murdered within a private garden in Notting Hill. Because the request came from a previous colleague – DI Kerry Boatman – and because she feels a connection to the dead girl, Gemma agrees to assist in the investigation. This shocking murder may have ties to a previous death in the same garden and since the environment is closed to the public, the list of suspects is limited. The closer Gemma and Kerry get to the truth, the more risk to the residents of this quiet community. Sometimes the past refuses to stay buried. Meanwhile, Gemma’s husband, Duncan Kincaid, is increasingly becoming obsessed with his conspiracy theory involving corruption in the highest levels of the Metropolitan Police. A vicious beating leaving one of his colleagues in a coma confirms that he has touched a nerve. Duncan must call on those closest to him – the ones he can trust – in order to protect both the reputation of his beloved police force and the lives of those he loves. Fans of this series have willingly followed Gemma and Duncan through their adventures for many years (and sixteen previous novels), but it is worth noting that Deborah Crombie has a knack for making the complicated backstory of her characters understandable to new readers with each new release. Certainly, the complex machinations within the Metropolitan Police Department resonate more for those who have read the previous book in the series – To Dwell in Darkness – but first-time readers will quickly catch on and be satisfied by the pay-off in the end. 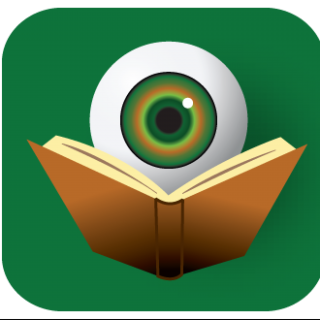 There are many characters in Garden of Lamentations – both recurring players and those new to the series. Different readers will find their interests drawn to different characters, but Deborah Crombie does an amazing job of never letting one case over-shadow the other. Seeing the investigations unfold from multiple perspectives gives this police procedural a sense of verisimilitude. No real-world cases as complex as these would be solved by one or two individuals working independently – it takes a team. Crombie’s realistic depictions of London and surrounding areas have certainly played a part in the ever-growing fan base for this series. With this novel, readers can almost smell the sweet aroma of the garden flowers in stark contrast to the grittier side of London city-life which is central to Duncan’s investigation. Once again, the end papers on the hardcover depict a map (drawn by Laura Hartman Maestro) making walking in Gemma and Duncan’s shoes a very real possibility for world travelers. Garden of Lamentations should be another hit for Deborah Crombie, so readers who have not yet tried this series are encouraged to dive in. Her fans likely already have the book on order and they will not be disappointed. Since it is said that you reap what you sow, it is no surprise that Deborah Crombie has been rewarded with a legion of loyal fans. Thank you, Kristopher!! I am so glad you enjoyed the book! My pleasure. So great to visit with Gemma and Duncan again. Thank you Kristopher for the review.